Angela Thiele is a partner with Lindsay Kenney LLP. A general litigator with a varied practice, she leads LK Law’s Family Law group. Ms. Thiele handles employment matters for employers, employees and unions, estate and committee litigation, professional negligence matters, and real estate litigation. She has also acted for the insured in coverage disputes and in disability and life insurance claims. As Lindsay Kenney’s leading family law lawyer, Ms. Thiele addresses complex divorce issues, property division, protecting business interests, custody and access disputes, tax implications upon marriage breakdown, and support payments. A trained mediator, she helps to guide the work of LK Law’s other divorce lawyers, child custody lawyers, and family law lawyers. Ms. Thiele appears at all levels of court, including the Supreme Court of Canada, and has taken cases before many administrative tribunals, including WorkSafe BC, Unemployment Insurance Tribunals, and both the British Columbia and Canada Labour Relations Boards. 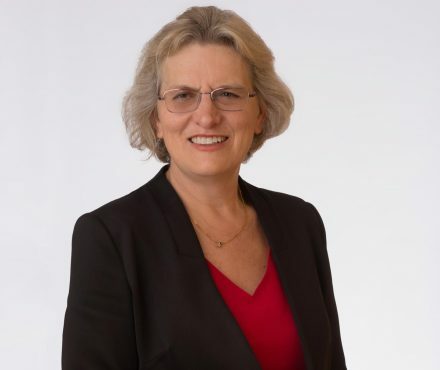 Born in Vancouver, Ms. Thiele obtained a Bachelor of Arts in Political Science in 1980, and a Bachelor of Laws in 1983, both at the University of British Columbia. She was awarded several scholarships, including the Law Society Gold Medal for the highest standing in the class over the three-year degree program. Deeply engaged as a volunteer, Ms. Thiele has guest-lectured on family, estate, and employment law at the People’s Law School, Terminal City Club, Murray Axsmith & Associates, South Vancouver Family Place, Stenberg & Associates, and Continuing Legal Education. She has assisted the Law Society in professional discipline matters by participating in conduct reviews of other lawyers’ practices, and by advising lawyers how to respond to Law Society complaints. Ms. Thiele has served as a director of Burnaby Library and Family Services of Greater Vancouver, and is a former Parks Board Commissioner for Burnaby. She has sponsored and organized several fundraising events for various charities including Ovarian Cancer Canada and Monarch House. 2011 06 20 BCSC 948 R.R.H. v. B.K. 2011 01 10 BCSC 17 B.K.A. v. D.M.A. 2010 05 13 BCSC CanLII 604 B.K.A. v. D.M.A. 2010 02 03 BCSC 153 P.J. v K.J. 2009 11 06 BCSC 1808 B. v. B. 2009 09 04 BCSC 1221 E.G.P. v. S.L.P. 2009 07 30 BCCA 371 D. v. D.
2009 06 29 BCSC 854 A. v. A. 2008 10 09 BCSC 912 S.D.G. v. J.A.W. 2007 02 28 BCSC 264 S. v. S.
2006 04 12 BCSC CanLII 718 Stant v. Elaho Logging Ltd.
2005 07 04 BCSC 1010 W. v. W.
2000 03 17 BCSC 0471 M. v. G.
1999 07 06 BCSC 6974 Carla M. Courtenay Law Corporation v. P.L. 2004 05 17 BCSC CanLII 306 P.A.H. v. J.H. 2003 06 09 BCSC 899 J.A.F. v. A.A.F. 2002 08 06 BCCA 433 P.W. v. D.W.
2001 07 05 BCPC 0199 S. v. J. 2001 02 16 BCCA 82 Carla M. Courtenay Law Corporation v. L.
1992 0305 BCSC CanLII 203 In the Matter of the Bankruptcy of K.S. & D. Engineering Ltd.
1998 09 01 BCSC 4645 D.Y. v. M.Y. 1998 07 23 BCSC 5804 L.M. v. R.M. 1998 07 16 BCSC 5846 D.Y. v. M.Y. 1998 06 30 BCSC CanLII 6854 R.M.B. v. R.W.B. 1998 06 16 BCSC 4165 W.G. v. D.G. 1998 02 27 BCSC 4297 L.B. v. G.B. 1997 07 29 BCSC 3505 J.M. v. P.M.
1996 10 24 BCSC 430 F.E. v. L.E.